Deciding that he must know the truth, the man who calls himself "Yamashita" follows a trail of clues that lead him back to the mysterious building where he was imprisoned and kept incommunicado for ten years. There, with the help of violence and a brutal imagination, he will try to find answers to the questions that haunt him. However, he will discover that his opponent will not yield to him so easily, and that his ordeal is far from finished. Garon Tsuchiya is a manga writer who is best known for Old Boy, with artist Nobuaki Minegishi, which won an Eisner Award in 2007 and was adapted in mystery-thriller noir film by director Park Chan-wook. His other credits include Astral Project and Reverse Edge: Ōkawabata Tanteisha. Nobuaki Minegishi is a manga artist. He is best known as the illustrator of the acclaimed manga Old Boy, which was adapted into the award-winning movie Oldboy by Park Chan-wook. 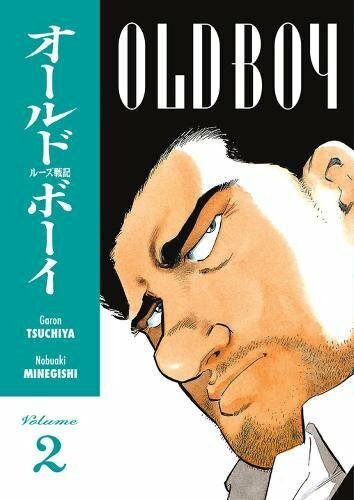 In 2007 Old Boy won the Eisner Award for Best U.S. Edition of International Material—Japan. Minegishi has also worked on series such as Aburemon, Jungle, Tenpai, Hoozuki, Joi Reika, and Maboroshi No Kakero.